with Melania, Laura and Nichol! 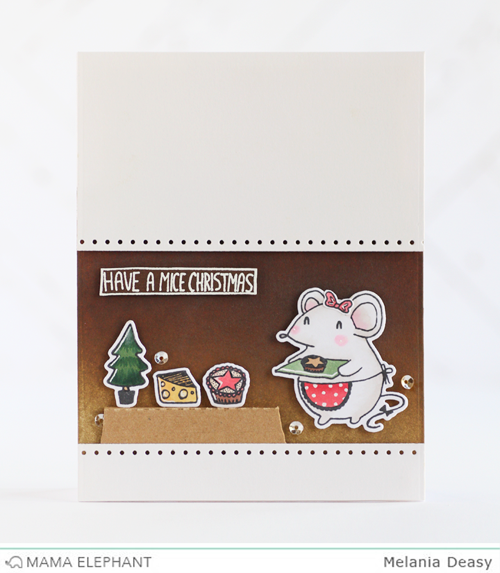 Deasy made an adorable scene about a mouse preparing for the Christmas Holiday. 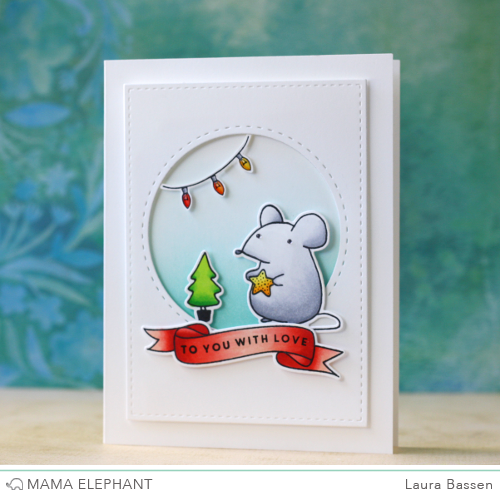 Laura created a cute little Christmas scene inside her window opening. 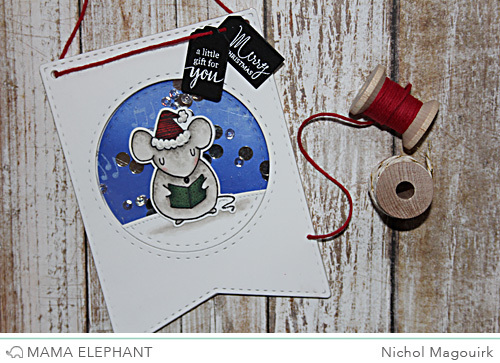 Nichol created a gift tag ornament by combining the Festive Mice Stamps and Pizazz Pieces Creative Cuts Dies. Ordinarily I wouldn't eat anything a mouse wanted to give me - but I'd be glad to make an exception in this case. I love how cute these cards are.Who knew mice could be so cute? Nice job guys! Really cute cards, girls! LOVE this stamp set so much, too! I think these cards and tag are adorable. Such sweet stamps/dies.